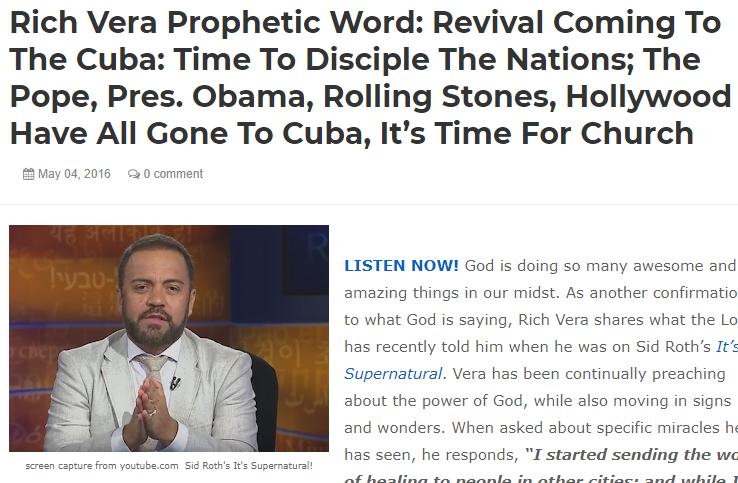 Rich Vera Prophesies about Cuba! – Open Our Eyes, Lord! Rich Vera Prophesies about Cuba! I just ran across a 2016 article by this Prosperity Gospelteer and buddy of Benny Hinn and Sid Roth. He’s the guy, you may recall, who went to heaven, talked to God face to face, and while there chatted with Isaiah. First, this is a textbook example of what is technically known as Vaticinium ex eventu; when someone supposedly predicts the future, but only after the event has taken place. For example, there are plenty of people who claim to have foreseen 9/11, but oddly enough, did not let anyone know about their prediction until after the event! Anyone who knows anything about Cuba, knows it has already been undergoing revival for decades. In fact, you could probably argue that, pound for pound, it is the hottest revival anywhere on the planet today. So, uttering a prophecy in 2016 that revival will come to Cuba is about as jawdropping as announcing in 2016 that Man will one day walk on the moon! or that Every home will have its own computer! Just picking a random sampling, I found that Vera did the same thing in 2017, announcing that there will be wildfires in California. You know, long after the many years of California wildfires. Not even the uber-fakey Criswell dared to “predict” stuff that had already happened! Second – the scarier thing about his announcement is the implication that he and others like him ought to go to Cuba. Ironically, one of the reasons I and my colleagues and friends go and teach the Bible in Cuba is, precisely, to help prepare them to reject the false gospel of people just like Rich Vera. 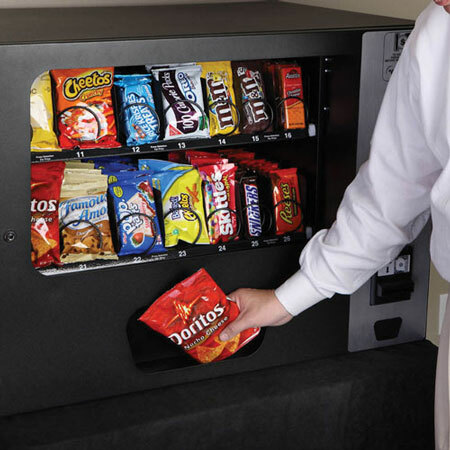 People who turn the gospel of eternal redemption into a vending machine: pop your silver and gold into the slot (= call a TV preacher with your credit card number) and God will give you – owe you, in fact – some very nice merchandise. My Cuban friends tell me that these guys are already landing in Cuba to peddle their wares; it’s now a race against the clock. So while Vera says he ought to go there because these others have, I would place Vera last. Yes, even after the Stones. Let’s pray for Cubans to continue to thrive, and to resist the pestilence that has swept around the rest of Latin America.